We’re just one week away from the official debut of Quiltmaker’s May/June issue. Some subscribers may already have found the issue in their mailboxes. When we started the hexagon research, we were amazed at how many resources are out there. We’ve added more at quiltmaker.com and we invite you to check them out. 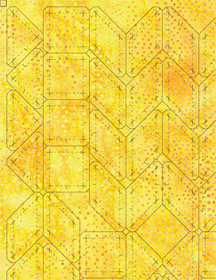 • Create your own hexagon quilt design! We provide a free download of hexagon graph paper you can play with. 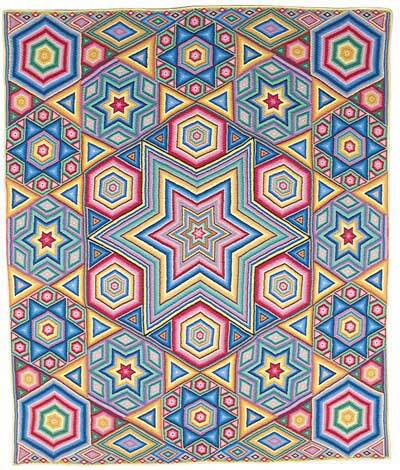 • For several months we have collected images of wonderful hexagon-based quilts. See them all on our Hexie Love Pinterest board. 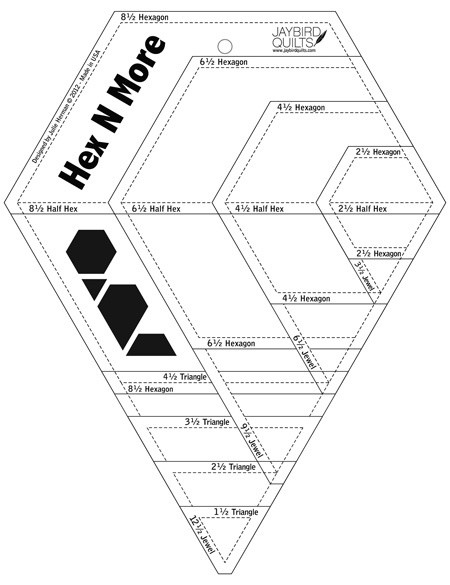 Others also have hexagon resources. It’s been so much fun to scout them out. You’ll see lots more about hexagons in the weeks to come. • Moda Fabrics has introduced Honeycombs: precut hexagons that measure 6″ from point to point. Each unfinished side is 3″. Lissa Alexander shows you how on YouTube. • We’re loving Linda Franz’s Inklingo system. You can use it for hexagon projects and for a wide variety of additional shapes. It prints cutting and sewing lines directly on the back of your prewashed fabric for perfect piecing by hand or machine. Watch for an upcoming guest post by Linda herself! • Julie Herman at Jaybird Quilts has developed a great new ruler called Hex N More. A full post about this ruler and its potential for creative fun is upcoming. • The Illinois State Museum Society has an interesting hexagon quilts page. Mosaic by Albert Small, above, is one of the featured quilts. It’s hard to see in this photo but those are thousands of tiny hexagons. • Riley Blake Designs and Lori Holt of Bee In My Bonnet have teamed up to bring you Hexie Half Rulers. Hoping to play with these very soon! There is lots more to show you but I won’t use it all up today. Have fun checking out all the links and we’ll see you soon for more hexie fun! Be sure to check out the four hexagon projects in this great new issue. We’re wondering what hexagon resources you have found. If you know of something, please share it in the comments below. Thanks!